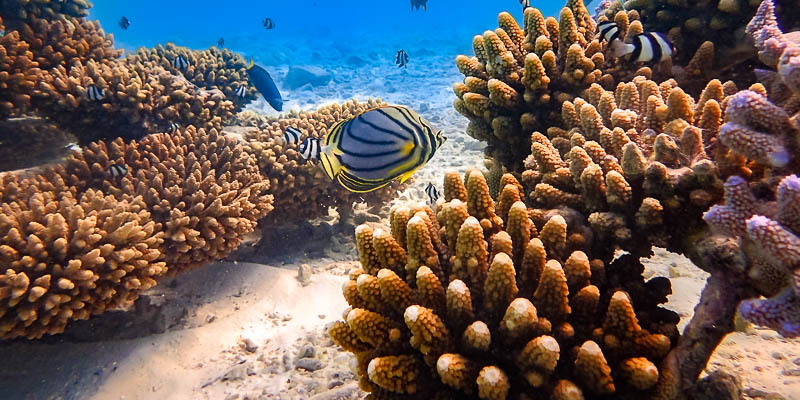 Reefscapers has been involved in coral reef restoration and guest-oriented activities in the Maldives since 2005, with their pioneering coral frame techniques. Targeted primarily at resorts in the Maldives to improve the general health of the natural reef and to create guest oriented activities through snorkeling and education. By offering the most advanced coral propagation programme with term monitoring and maintenance, Reefscapers ranks among the most successful of its type in the world. To date, we have transplanted more than 6000 coral frames (covering 4 hectares) using over 40 species of corals. 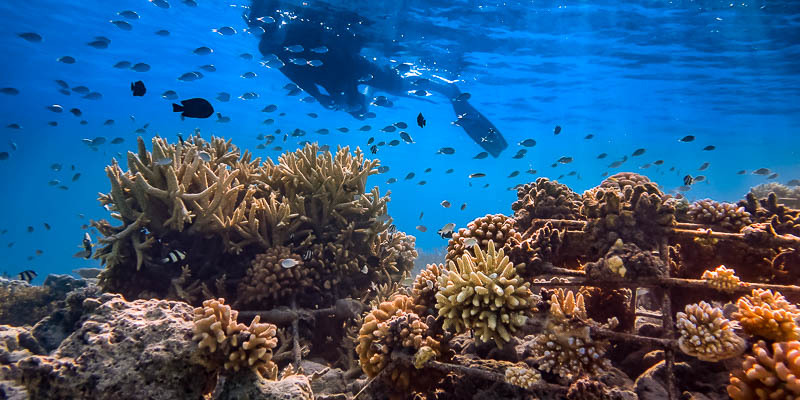 Reefscapers initiated the first resort marine biologists in the Maldives, implementing long-term marine projects to increase guest awareness and promote conservation. 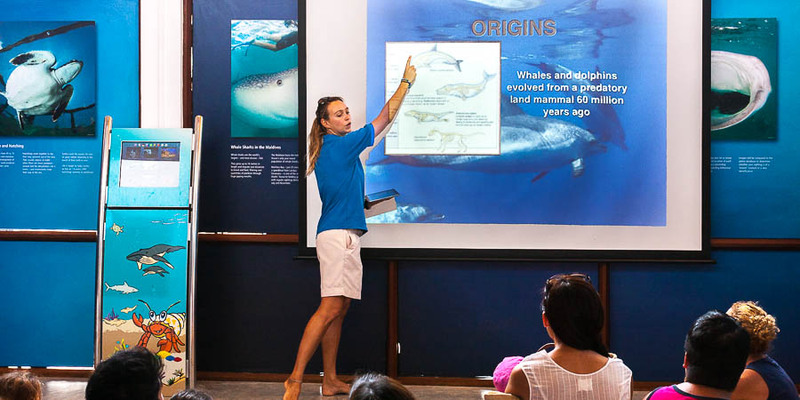 These range from marine biology excursions and coral reef rejuvenation, to the creation of sea turtle sanctuaries and the development of multiple sustainable programmes. Reefscapers established the first sea turtle rescue and rehabilitation centre in the Maldives in 2011 – our Marine Discovery Centre at Four Seasons Resorts Landaa Giraavaru. For almost a decade, our team of dedicated marine biologists have studied and developed multiple conservation programmes to protect these marine animals. 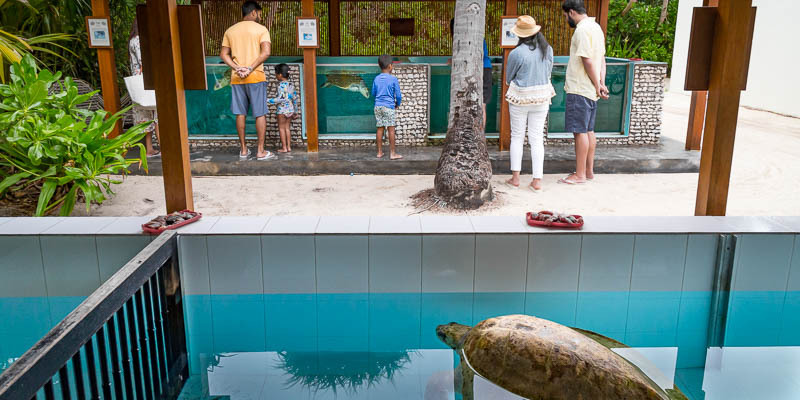 As a result, hundreds of injured turtles have been successfully rescued, rehabilitated and released, increasing awareness of sea turtle biology, and encouraging active participation from tourists and resorts around the Maldives. Sponsored by the Resorts and their guests, the coral transplantation process involves attaching fragments onto a frame – produced by a local co-operative of eight employees – to boost existing reef habitats and generate new ones. If you want to support our reef propagation projects, we will make and transplant your own frame, email you its unique reference number and upload photos of it onto this site every six months for you to monitor progress. You can choose to locate your frame at one of our selected partner resorts and dedicate it to the person of your choice. We hope one day you can come to see your frame in person! At Reefscapers, we combine our experience in coastal protection and marine ecology combined with engineering backgrounds to deliver quality customised services. Reefscapers develops solutions to many environmental challenges, from resort beach erosion to local solid waste management. We carry out data collection and feasibility studies to produce environmental impact assessments, and offer bespoke engineering and software solutions. 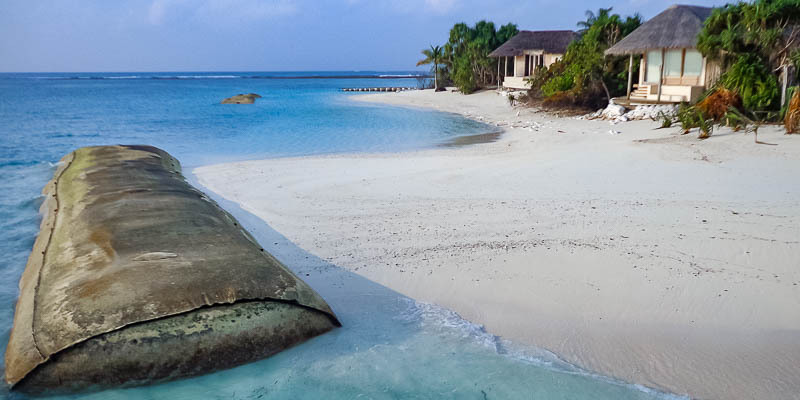 We are available for short contracts or long-term research projects in the Maldives and internationally.